It's fantastic that more and more people are becoming hip to rye bread. Rye is tasty, good for you, provides a welcome alternative to wheat bread, and compliments certain food (smoked meat and fish, strong cheese) really well. The great thing is that baking with rye is really easy. There are a few characteristics of rye which you may want to know before you get stuck in. The most important is that rye flour does has gluten (something a true coeliac is well aware of) but it is a different form of gluten from that which is found in wheat and its cousins. Rye gluten does not develop into strong and stretchy dough the way wheat gluten does and this means that any time you add rye flour to wheat flour you can expect the dough to be more fragile. It is also stickier and more absorbent. The more rye flour you have, the more pronounced the changes become. 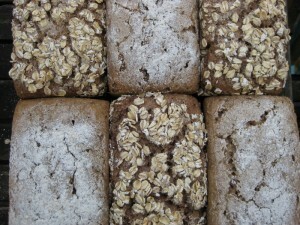 Bread made with rye is a little denser and heavier, but if made properly it is not a dreadful brick-like substance. It can be light and delicate, just never holey and airy. And it is always good toasted, no matter how it turns out on your first attempt. 1. Rye flour makes dough that is very sticky. VERY sticky. This is normal. To work with rye, have a bowl of water to hand and dip your hands in it to prevent sticking to the dough. Never add more flour - that will just make it stick more. 2. Rye flour is much more absorbent than wheat flour: it needs more water than wheat flour to make a great loaf of bread. 3. The more rye in the dough, the flatter the bread will be. Rye flour cannot "dome" the way wheat flour can. 4. You do not have to knead 100% rye dough (yay). 5. Even when rye dough is baked, it can be quite sticky. You can let it rest for 1-2 days before eating it to let it settle a bit before eating it. If you make rye with sourdough rather than yeast, the end product is less sticky. 6. 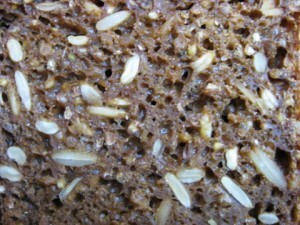 Slice rye bread thinly and you will enjoy it much more. It's simply too deliciously, heartily, chewily good to make door stop sandwiches. You will get half way through and have had enough. And that's a good thing: it takes less rye bread to fill you up than wheat bread. 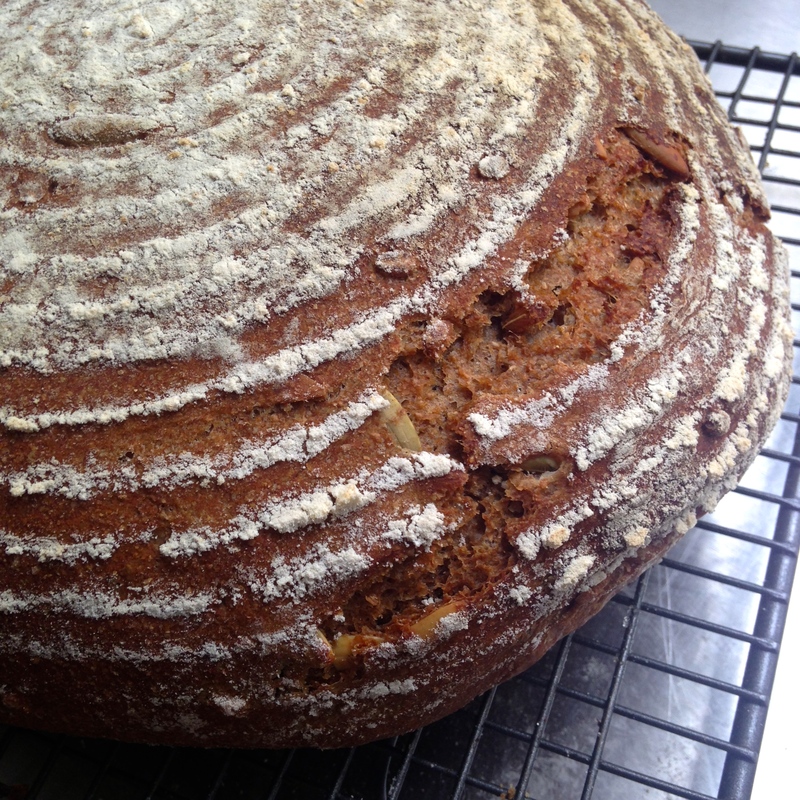 50/50 Rye & Whole Spelt - one slice is enough! 7. 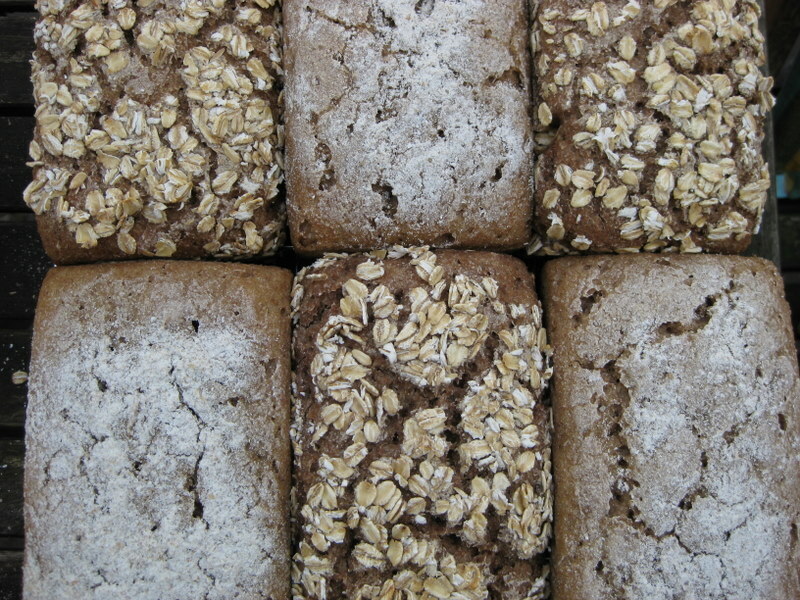 Rye flour is sold as "dark rye" and "light rye". If your bag just says "rye" you can assume it's dark. As I type, there is bread in the oven baking from recipes I am developing for Gilchester's, organic farmers and millers in Northumberland, England. Their rye (and I tried it for the first time in September) is FANTASTIC. Flavour, texture, colour - everything about it is amazing. To that end it expands their incredible range of organic flour even more. You should check them out - they do mail order. Want to learn more? Come and take a fantastic bread course with us. They are around the UK and we teach you how to bake with rye in all of them. That's because we LOVE it! And if you know someone who would love a bread class as a gift, buy a gift voucher today and get them to bake bread for you! 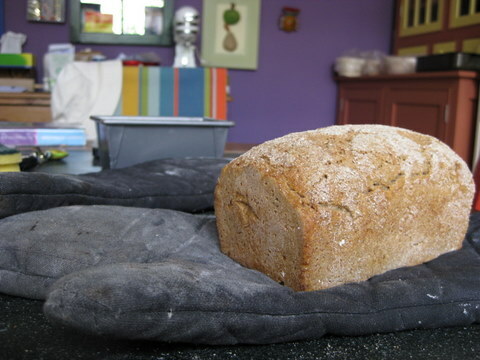 I started making soda bread in September, it was so easy and enjoyable to do. I am converted to home made bread and haven't bought a loaf since then, i make a loaf or do without. 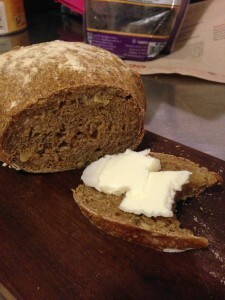 I now want to try different recipes and flours, so thank you, i love this site. Hi there! I didn't see any 100% rye flatbread, any chance you have dabbled in that before and have a recipe? Thanks! Thank you! Can't do spelt but potato flour, I can... so maybe I'll play with that!